Having a choked toilet bowl at home before an important event at home and need a plumber desperately? Some of us might experience this before and it is not easy to deal with this kind of situations. By fixing the choked toilet bowl by yourself, you will be in a mess and definitely you will not like your hands to be inside with that waste. Good plumbers might be your savior in this kind of situation, though their jobs might not be very respectable but you will thank them once it is fixed. If in any case, you cannot find yourself an emergency plumber. One simplest tool would be the toilet plunger to help clear the choke. Wear gloves and remove things near the toilet bowl before pumping it. If the water is filled to the brim, you might need to use a bucket to remove the water. Once the water is removed, you can start the pumping. By doing so, it will remove the choke. At the same time, you will have to do this repeatedly which is not an easy task. Pump till the residues appear, this is then the toilet bowl choke is cleared. Test run the toilet bowl again by flushing it once and see if it works. Once the toilet flushes and it is clear, it shows that everything is working well again. Now let’s talk about why we should have our pipes serviced frequently and why is it so important to have plumbing service around. For both residences and commercials, plumbing problems occur frequently. It is always good to engage a professional plumber to check your pipes at least once a year to inspect for problems. This will ensure that it is functioning well and save you from any emergencies. Strictly do not ignore leaking problems as it might make a huge mess in your toilet and it would be very unsightly. By engaging a plumber, they will notice the minor problems to prevent big ones from happening. Carrying out frequent check is very important to save you from resources and money. Emergency plumbing service cost a lot more than normal plumbing service. Sometimes, you might even not get a plumber in the late night or wee hours. It is always advisable to be prepared than waiting for the problem to happen. 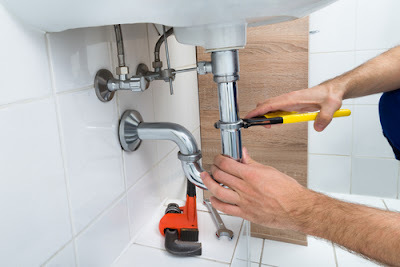 24hrs plumber Singapore is a plumbing service company that is around the market for years, they have experiences in handling all sorts of problems.